Get ready! 5 … 4 … 3 … 2 … the next generation is here! Freediving is simple and pure. But it should be also be safe. 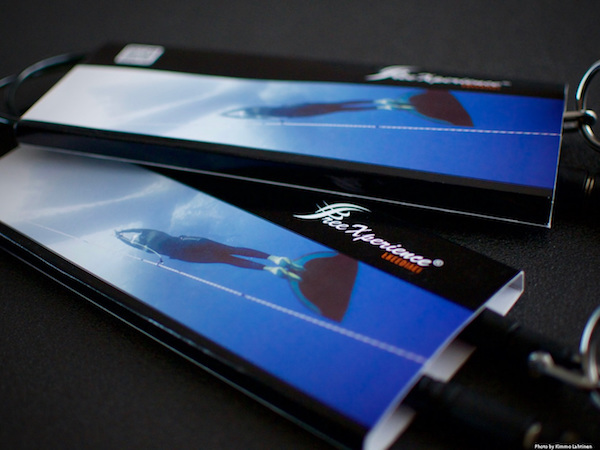 Let me introduce you to the new freeXperience lanyard concept. It has both a waist and a wrist attachment. 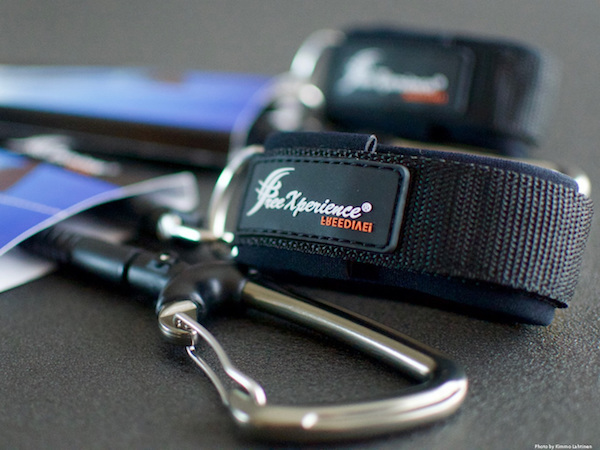 Now also: lanyard accessories — wrist bands, belts, cables and carabiners! During this nine-year project, I have also developed guidelines for lanyard field tests and lanyard testing drop weight simulator for you to ensure that your own lanyard is safe. ​Available now with special prices for resellers. Contact us! Breaking point (performed with the Lloyd LRX Plus material testing machine with 2.5 kN load cell). Safety notice: When using or testing the lanyard, the velcro should always be fastened properly. Safety notice: When using or testing the belt lanyard, the size recommendations for the belts should be followed, and the velcro should always be fastened properly.